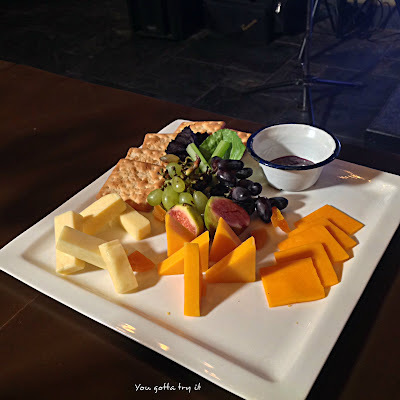 Can anyone say no to cheese? It’s hard to ignore a piece of cheese with milky, smoky, nutty, and strong flavors. 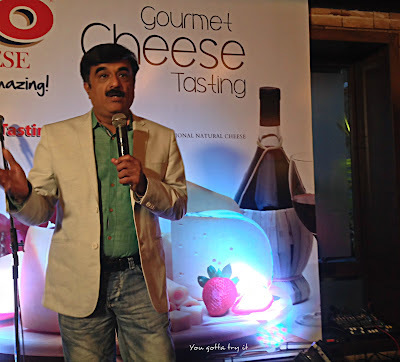 Cheese and other dairy products is an integral part of our daily life. There is not a single day I can’t live without a strong cup of milk tea and sometimes paired with a cheese toast/ butter toast. 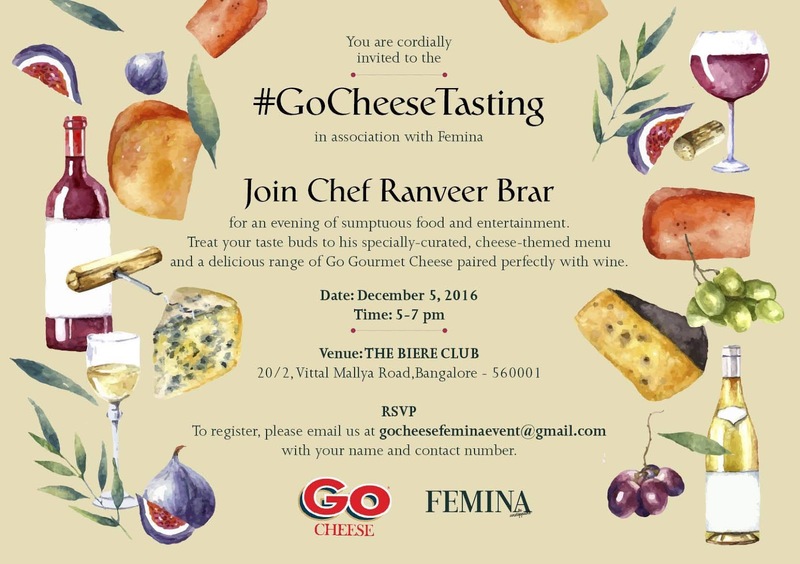 Recently I was invited to attend a fun-filled and cheese appreciation event by Go Cheese at Biere Club, Lavelle Road organized by Femina, India’s leading Women’s magazine. 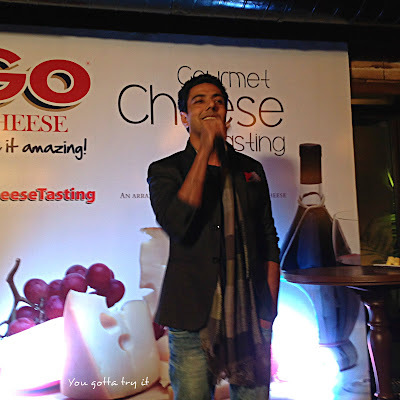 The main attraction of this evening was Celebrity Chef Ranveer Brar, the Brand Ambassador for Go Cheese spent time with us by giving us tips and tricks pairing the cheese with different foods. 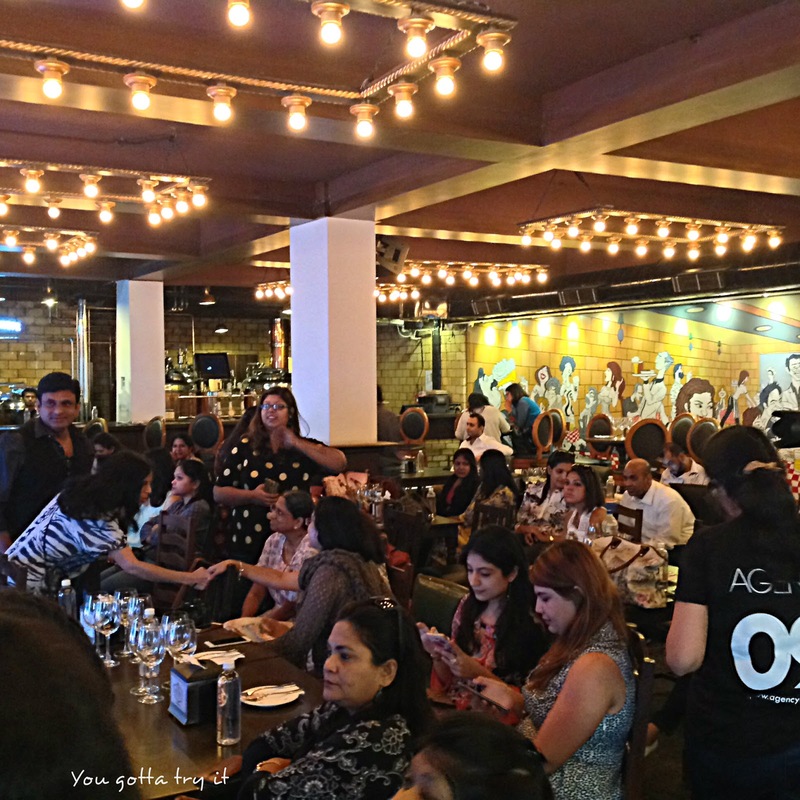 The event started with a welcome note by a beautiful host followed by an uproarious stand-up comedy performance by Sahil Shah. 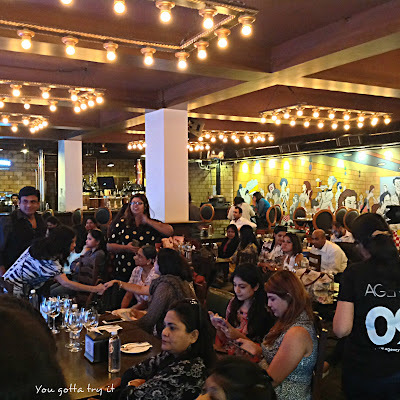 He just kept the audience live and we laughed non-stop for almost 20mins. 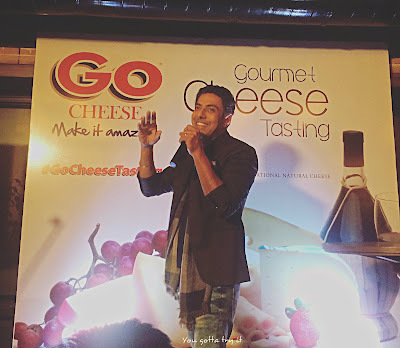 After this wonderful performance Mr.Israni, Chief Marketing Head- Go Cheese talked about Parag Foods which produces various dairy products under the following brand names – Go, Top up, Pride of cows, and Gowardhan. Go in the Sanskrit language means Cow. 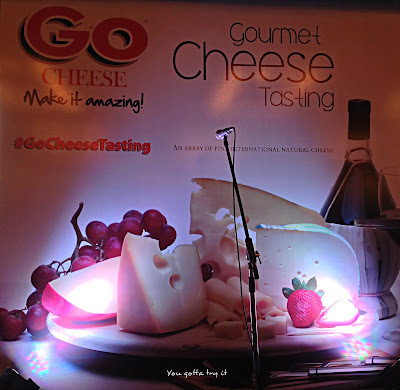 Go produces innovative products like cheese slices, mozzarella cheese, processed cheese, skim milk, flavored yogurt and many other dairy products. Topp up is flavored milk which is available in Elaichi, Strawberry, Mango and Rose flavors. Gowardhan is the brand for everyday dairy products like Ghee (clarified butter), curd, cottage cheese, milk, and dairy whitener etc. Pride of cows is direct to home farm milk which produces 25,000 liters of milk a day, with an 8.5 SNF which is produced with extreme care and untouched by human hand. 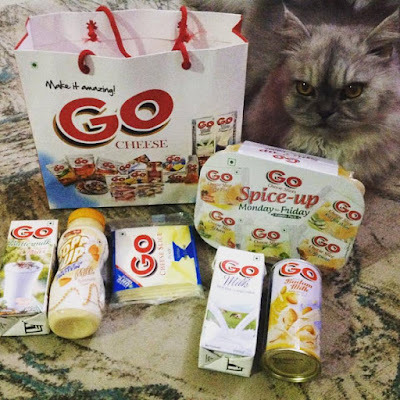 I always use Go products like Mozzarella Cheese, flavored cheese slices, and Almette Herbed Cheese. These are essentials in my kitchen. After Mr. Israni’s brief description about the brand, it was time for the main highlight of the day. The celebrity Chef, whose face is so familiar with TV shows like MasterChef India, Thank God It’s Fryday, Health Bhi Taste Bhi came to the stage. It was an unbelievable moment as I always love his creations and presence in these shows. While Chef Ranveer Brar was speaking to us, we got a cheese platter with Gouda, Cheddar, and Colby with crackers, fresh fruits, and Blueberry compote. 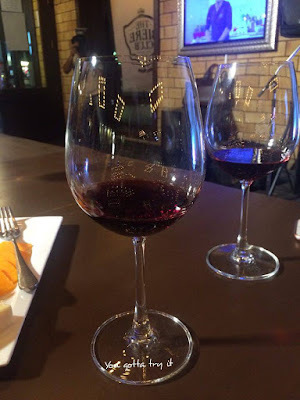 These were served with a glass of red and white wine. 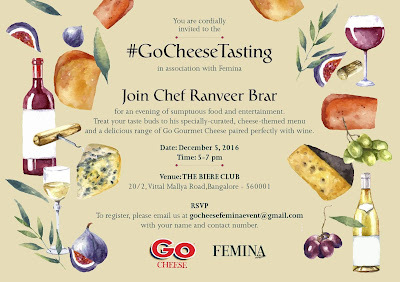 While Chef Ranveer Brar shared some tips on pairing cheese we got a platter consisting Chef’s special appetizers made of Go Cheese. The platter contained Beetroot Carpaccio with Almette Herbed Cheese filling and served with micro greens, crumb fried nuggets, mini calzone, Bruschetta with cheese toppings, and Cheese Nachos. 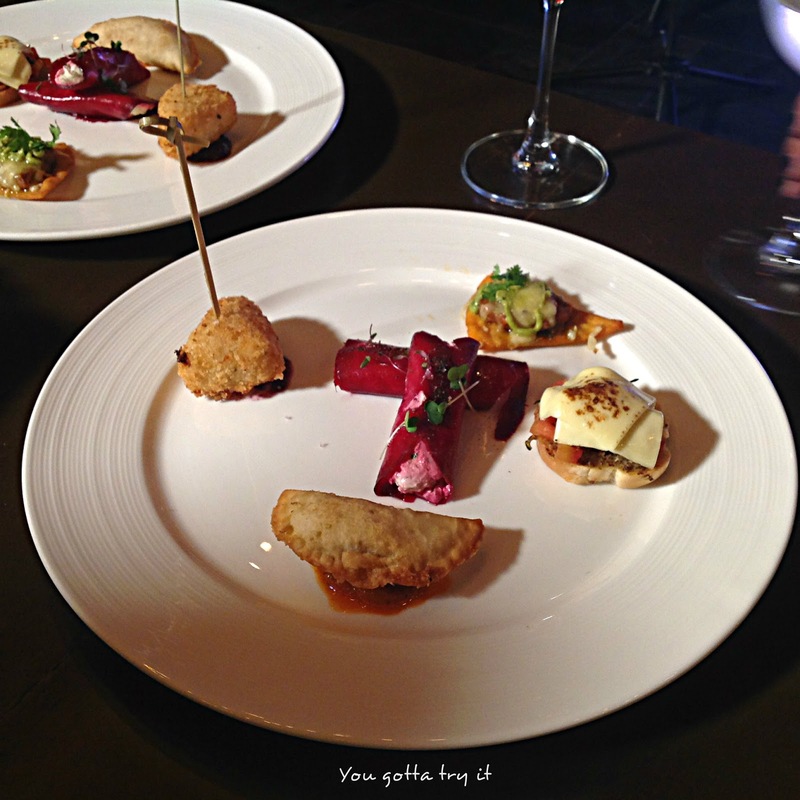 Out of all these undoubtedly my favorite was the melt-in-mouth Beetroot Carpaccio with a tasty Almette Herbed Cheese filling. 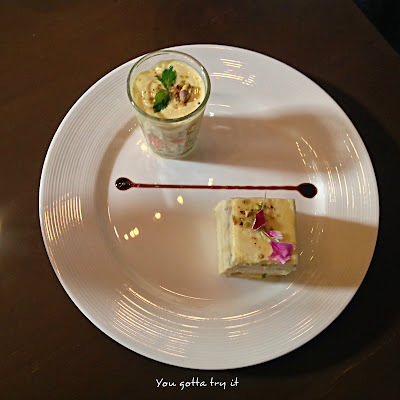 For the desserts, we had Hummingbird cake with Almette herbed cheese frosting and Saffron cream syllabub. Both the desserts were so creamy and delectable. According to Chef Ranveer Brar, more the matured cheese darker the wine should be. He also shared few tips on pairing cheese with plum jam, green tomato chunda, star fruit, plain khakra, beetroot, baileys, olives & panch phoran (a Bengali special 5 spices masala), and a combo of ice lettuce, lemon, black pepper and mayo. 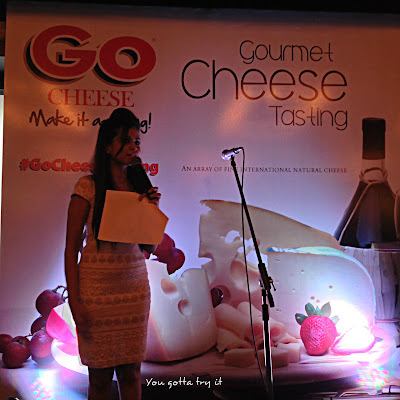 Chef’s tips were truly interesting and I can’t wait to try these at home with Go Cheese. 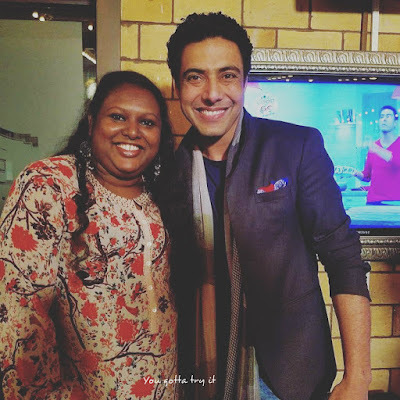 We met the Celebrity Chef and how can we let him go without taking a pic. 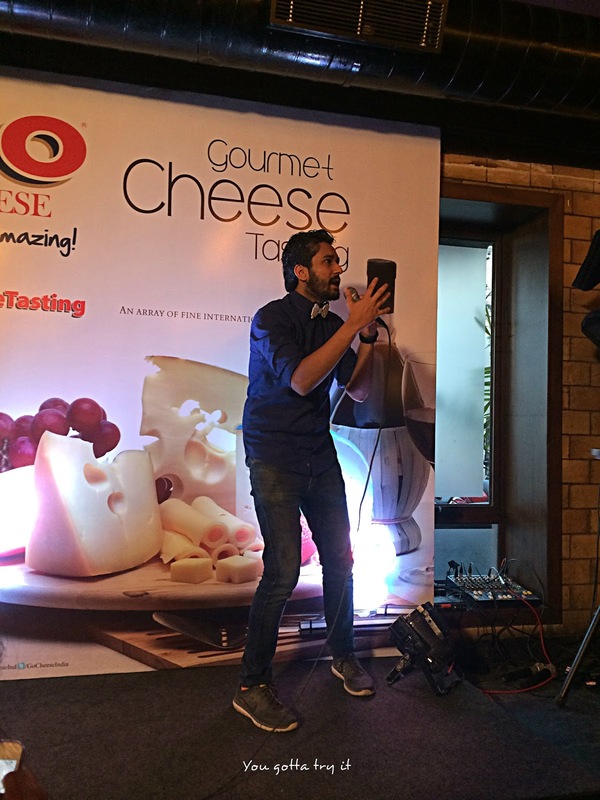 Chef Ranveer Brar made sure that everyone got a chance to click a pic/selfie with him. We also got a goodie bag with a lot of dairy products from Parag Foods. Thanks to team Femina and Go Cheese for a wonderful evening with Cheese enthusiasts and cheese appreciation.